Apple Pencil and Surface Pen Stylus has already been set into the comparison resulting that the Apple’s iPad Pro Pencil is faster than Surface Pro 4 Stylus from Microsoft. 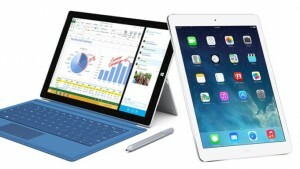 Apple’s newly-released iPad Pro is currently acquiring lots of attention. Both devices support keyboards and stylus. Apple has made the new Apple Pencil stylus, which will work exclusively with the iPad Pro and it adapts to how much pressure you put on it. 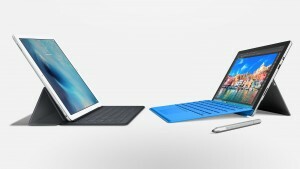 Microsoft’s Surface Pro 4 offers stylus and keyboard cover accessories just like Apple’s newly released iPad Pro. But Apple is very sure that the iPad Pro Pencil is the best stylus on the market. Apple Pencil detain virtually no lag or delay. And Apple Pencil takes over the precedence of iOS’s predictive touch technology. The Apple Pencil is designed and organized to look and act more like a traditional pencil than a digital stylus. You can notice that the Apple Pencil has a bit lower latency than the Surface Pen Stylus on the Surface Pro 4. However, Microsoft’s stylus is patently no slouch either. And finally different software being used on both tablets, it is not an entirely fair competition, but it certainly serves as a victory for the iPad Pro Pencil on this occasion rather than Microsoft’s Pen Stylus.